It's a bit early to talk about Halloween, but if you're a CCL (Crazy Cat Lady), there are many occasions to show off your feline side proudly, like say, any Caturday. 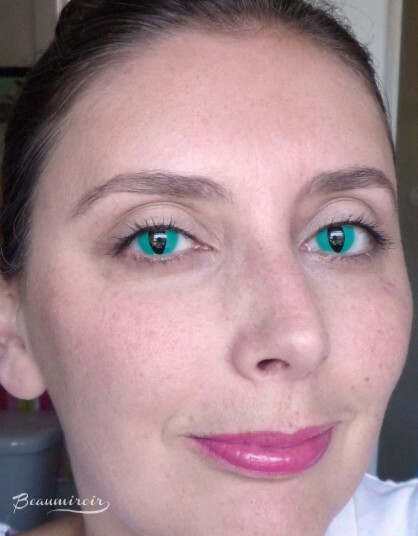 These Dream Eyes contacts were sent to me by Spooky Eyes, a UK-based store that specializes in cosmetic contact lenses. 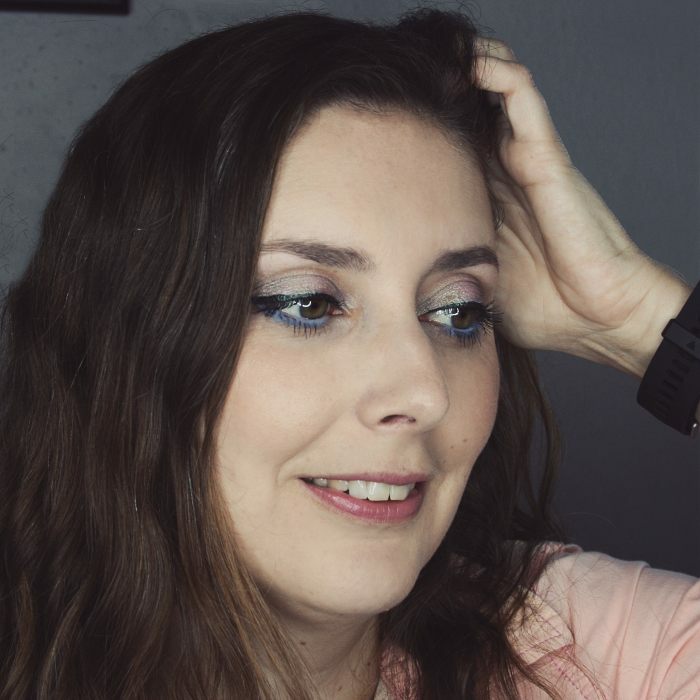 They have a good selection of weird or creepy contacts that will take your Halloween costume to the next level, like my spectacular kitty eyes sample, but they also have classic colored contacts for those who want to have blue or purple irises for a day. Ready for San Diego's crazy Comic-con week-end! I received the contacts very quickly in the US without any issues with customs. The box contains two contacts that are in fact yearly: it means that if you store them properly, in a container with good contact solution, you can keep them up to a year. That's many days of Crazy Cat Lady fun ahead! The only thing you should be careful about is to change the solution your contacts float in every week if you don't use them. Refer to the package, other contacts might be monthlies or have a different life span. I've been wearing prescription contacts for 15 years, so I had no problem getting them in or taking them out of my eyes, but you must be aware that it can be tricky the first time. Read the instructions carefully, take a deep breath and just put you fingers in there! I currently have daily silicon-gels for eyesight correction that are probably the thinnest on the market, so I'm a little spoiled in that department. 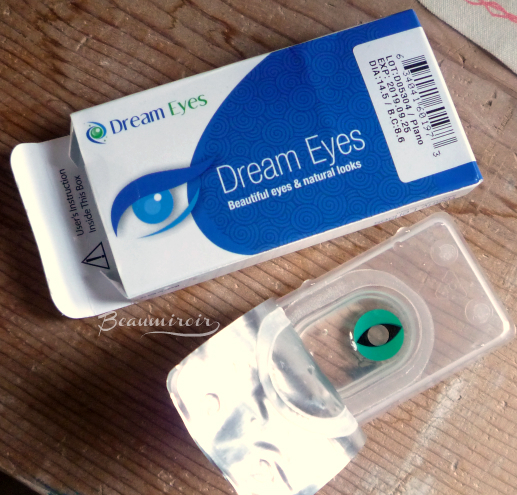 The Dream Eyes cat eye contacts are much thicker so I can feel them in my eyes throughout wear. Note that thicker contacts are a lot easier to remove from the eye (they don't fold as much because they're more rigid) so that's a plus for beginners. The cool thing is that they "automatically" turn so that the oval kitty pupil is vertical. I don't know how, but within minutes, they had found their place in my eyes! 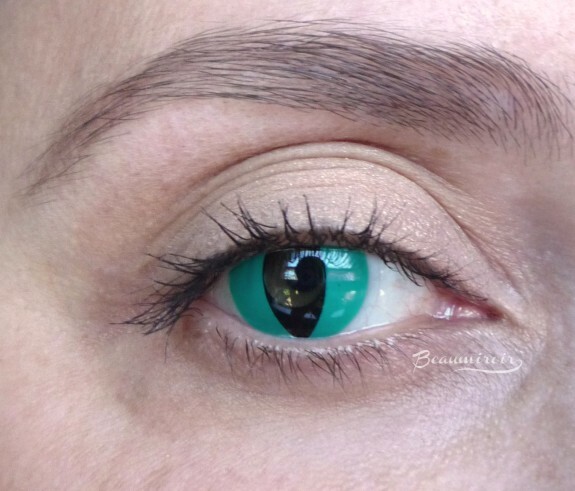 Overall: Spooky Eyes has a great selection of cosmetic contacts, from the wildest, craziest most uncommon to the most natural color contacts. Prices are affordable and shipping from the UK was fast and hassle-free. 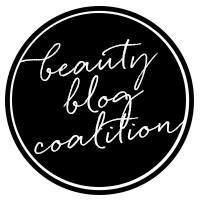 A website to remember when you shop for your Halloween costume accessories! Where to buy? Spooky Eyes website. What do you think of these spooktacular cat eye contacts? Are you a CCL, and would you wear them? 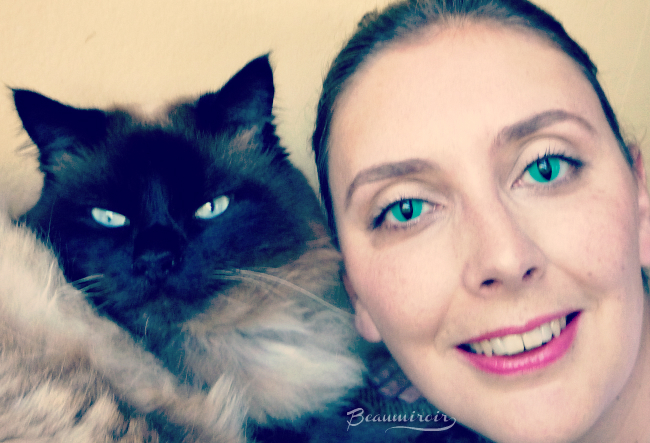 Are you interested in natural-looking colored contacts? 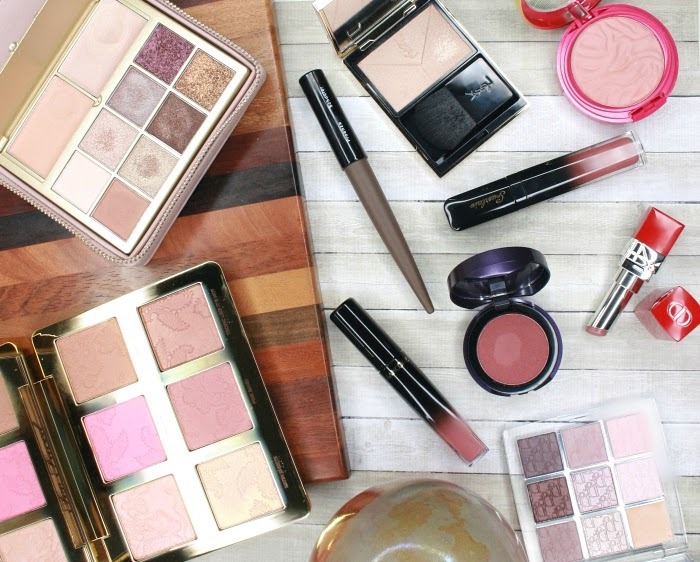 The product featured in this review was sent by Spooky Eyes PR for consideration. I received no other compensation than a free sample to write this post, which only reflects my personal opinion. This post does not contain affiliate links. Wow they really look like cat eyes! They're very well made, aren't they? I'm not sure how it works, but "they" can totally do that with contacts. I guess the shape is not perfectly symmetrical or they're heavier on one side, I don't know? They have some really cool stuff, like white irises (I'd really like to try that, must be creepy) or robot eyes too! Ok those cat eyes are just too darn cool! And I'm loving the color! Did you go outside wearing them? Hahaha! No I didn't, lol! But I should have, I would have blended in with the Comic-Con crowds that invaded San Diego during the week-end. There were some cool costumes out there! WOW! Those contacts are so fun! Super cool!